I am proud to be a personal injury lawyer at Murphy Battista’s Kelowna office. I grew up in Kelowna and then moved to the Yukon before eventually going to law school in Vancouver. After graduating, I took a position at one of the top defence firms in Vancouver, where I practiced for five years. During my time on the ‘defence side’, I gained valuable experience defending a variety of different entities including businesses, hospitals, dentists, chiropractors, and other lawyers. I also acted for municipalities as well as defended motor vehicle and occupiers liability claims. When I made the decision to move my family back to Kelowna, I decided it was time to start advocating for accident victims rather than against them. I grew tired of acting for massive, faceless insurance companies. 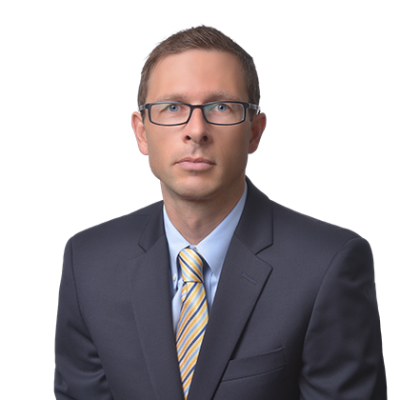 Murphy Battista is well known in Vancouver and throughout British Columbia as being tough as nails and willing to take on difficult and challenging cases. When I heard that they were opening a Kelowna office, I jumped at the chance to get on board. At Murphy Battista, our clients are referred to us from former clients and other lawyers. You won’t see our name on a billboards and busses. We are one of the top personal injury firms in BC – not due to marketing but from the hard work and amazing results that result in client referrals. I enjoy representing my clients in a large variety of claims including motor vehicle accidents, medical malpractice claims, occupier liability claims (trip and falls), class action lawsuits, and claims against insurance companies for wrongfully terminating benefits or denying coverage. Please call or email me, and I would be happy to discuss your claim with you and to see if we can help. Speaker at the 2015 “Civil Litigation Basics,” Continuing Legal Education course on the topics of closing documents: drawing up and entering orders, settlement agreements, and post-judgment execution. Co-author, Costs section of the British Columbia Civil Trial Handbook. Left Turn Accidents. What to Do if You’ve been Hit While Turning Left at an Intersection? You’ve Been in a Cycling Accident Involving a Motor Vehicle – What do you do? Matthew Van Nostrand – on a private insurance matter – went above and beyond the call of duty. Very pleased. Ethical and above board. Murphy Battista LLP was a very professional firm to deal with. Matthew Van Nostrand went way above and beyond any expectations. I would describe him as always prompt, professional and thoughtful. Mine wasn’t really a case he could take on but instead of sending me on my way he helped me through every step of my correspondence and negotiation with the insurance adjuster in regards to a significant property loss. His expertise, insight and ability to explain technicalities in layman’s terms were crucial in navigating this process. I highly recommend this firm and Matthew Van Nostrand in particular. I know this will be my first stop any time the need should arise. I can’t say enough about how amazing Matthew was helping us in our case against cooperators insurance. He helped us through the whole process and helped alleviate a huge amount of stress. He did a lot of work on our behalf and our family will be forever grateful. I would definitely hire him if needed again and strongly recommend him to anyone that needs help. Top professional approach by Matthew Van Nostrand and the firm. They are very results oriented and a pleasure to work with. I highly recommend them!! I enjoy representing my clients in a large variety of claims including motor vehicle accidents, medical malpractice claims, occupier liability claims (trip and falls), class action lawsuits, and claims against insurance companies for wrongfully terminating benefits or denying coverage.